2010 is sure to bring a new selection of technology toys for all of us. Some of the best in the past year include in no specific order, the Blackberry Bold 9700, Playstation3, Etre Gloves, Zune HD, the PowerMat, the FLO Personal Television, WD TV Live HD media player, Sonos S5 Zone player and the Leatherman Freestyle CX. 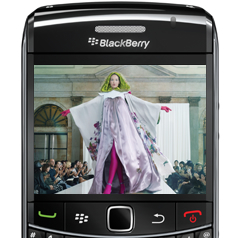 The Blackberry bold 9700 offers a sleek design, stepped down from the original, plus an optical track pad, added memory and a high-resolution screen, plus a 3.2-megapixel camera, GPS and wi-fi. Very nicely done. The Zune HD : Next-Generation Digital Entertainment Zune HD marks a significant step forward for portable media players, combining powerful hardware components such as an organic light-emitting diode (OLED) multitouch screen, an NVIDIA Tegra HD processor and HD Radio capabilities with software advancements such as the new Quickplay menu, a well-featured Web browser, and engaging music and video playback features to deliver a new portable listening and viewing experience.